Day trading might seem complex at first, especially to a beginner, however, once you maintain the basics of the day trading process and understand the basics, it can play out to be a very profitable venture in the financial markets. Day trading is a general process of working in a variety of financial markets to make a purported consistent profit within a single 24 hour or single market period. However, not all players in the day trading market end up generating consistent profit; the main reason is generally because of greed, lack of knowledge, and a lack of motivation for learning from mistakes, controlling general emotions, and being diligent. This guide will overview what day trading is, how to get started with day trading, and some of the best methods for starting out in the day trading market. This guide will focus entirely on the process of day trading in a variety of markets; most importantly it should initially be recognized that day trading is a process that can be used in multiple sectors. The above quote helps to realize what day trading is; it’s a skill and more of a process. Trading, in general, has been compared to cooking; it’s something you get better at with time, and there’s multiple styles, methods, and ideologies associated with it. You can enact a more subjective and creative-based approach, or you can follow a strict recipe to achieve the desired outcome. In order to learn more about day trading, let’s first review general trading. Trading in the financial markets is the process of buying and selling certain assets in movements which are known as “positions” consistently to generate profit. Keep in mind, this is different than just pure investing, where you buy an asset in the markets and wait long periods of time for it to appreciate. ‘Day trading’ is the process of buying these positions and selling them within time periods of singular days at a time. *A trader buys Apple stock on the United States equities market at 9:45 AM, 15 minutes after the market opens. At 2:30 PM that same day, Apple stock increases by 3% - the trader closes the trade at a 3% profit within the same day. *A trader purchases $10,000 worth of Bitcoin at 7:00 PM. After 2 hours of holding the position, Bitcoin falls by 5% – the trader, fearful of losing more money, closes out the position (Meaning he sells the Bitcoin he originally purchased). The trade closes the same day at a 5% loss. A trader short sells the Japanese Yen in relation to the United States Dollar (Meaning he’s betting that the Yen will fall in value relative to USD). The Yen decreases in value 10 minutes after the trade was placed – the trade closes the short position at 20% profit on his position just 10 minutes later. In each of the above cases, day trading was conducted. With these portrayals in mind, you can begin to deduct just what day trading is exactly. Day trading is buying and selling a position in the financial markets within that same trading day. The overall goal of this method is to be able to generate profit at a faster and more consistent return than simply buying assets and letting them appreciate over time (Although this goal isn’t always achieved, it’s the ideal outcome for why people day trade). Although profit is what you essentially want out of day trading, you can generate a loss and that will still be considered to be ‘day trading’. There’s a multitude of different types of day trading, and the perfect strategy is nonexistent. Day trading is a result of diligence, control of emotions, and thorough research that is put together and combined to establish strategies that allow you to consistently work through the markets each and every day. While the term ‘day trading’ was established from the equities markets which are only open from start to close, the possibilities for actually day trading can expand much further, and the idea of day trading has reached global markets, including forex, cryptocurrencies and more. Day trading involves risks of investment fund loss. Always invest amounts that you are willing to lose. Day Trading: A position is open and closed within the same trading day. Swing Trading: The position is opened and held for a few days to weeks and is closed after a significant amount of time. The main parameter that separates day trading from any other type of trading or investing is the fact that positions open and close within the same day. There are multiple strategies that go along with day trading, ones that we will discuss later in this guide; for example, there are automated day trading strategies that execute thousands of trades per day, and then there are other manual strategies that open and close just a few positions per day. Day trading is really based upon what the trader puts into it; you can make a large amount of profit with day trading, but you can also lose. 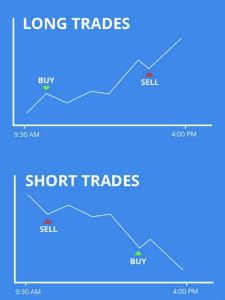 When day trading, there are two main types of positions that you’ll be taking when trading, which are longs and shorts. Long trading maintains a stance that is typically looking for prices of an underlying asset to increase. In this case, if you’re long a certain asset and the price of the asset increases, your position will be more valuable and you will make money. When short trading, you’re essentially betting that the price of an asset will decrease and borrow shares and selling them with the hopes that when you’re required to buy back the asset, it will be a cheaper price, therefore yielding a profit. While there are many variations and complex terminologies that are associated with positions in the markets, these are the two core ones that you’ll be utilizing. Long Trading: Purchasing an asset and betting that the price of the asset will increase. This is done through a ‘Buy Order’. The goal here is to sell (Through a ‘Sell Order’) the position after the asset has appreciated. Short Selling (Sometimes referred to as ‘shorting’ or ‘short trading’): Borrowing shares from a broker or an exchange and selling those shares; you are betting that the price of the shares you sold with borrowed money will decrease, so that you are able to buy back the shares at a lower price (Therefore yielding a profit). Consider the image above: In the long position, we’re buying stock in the equities market at around 9:45 or so. Then, as the day goes on, the price of the stock goes up and at around 3:00 PM, an hour before the equities market closes, we sell the stock, and retain a profit for ourselves. With long positions, you buy assets and are betting that the price of the asset will increase. Adversely, in our short position, we’re borrowing shares that we sell at around 9:45 PM. Then, as the day goes on, at approximately 3:00 PM the price of the stock we short sold has decreased significantly, and we then buy back the shares. Since the price has decreased, we, therefore, return a profit. Equities Markets (Stocks, Bonds, Derivatives): The equities markets are a fancier way of saying the stock market. Equities are portions in companies that are representative of ownership in their business practices and therefore ownership in their revenues and actions. Equities markets have an opening bell and a closing bell. In the United States, via a 24 hour time reference, the stock market is open from 09:30 – 16:00 (New York Stock Exchange). In London for example, the hours are rather 08:00 – 16:00. This relatively means that each market’s ‘opening time’ and ‘closing time’ represents the time frame you’ll buy and sell an asset for it to be considered a ‘day trade’. These markets traditionally have finite time frames, openings and closings, for which you can trade. Cryptocurrency Markets (Bitcoin, Ethereum, etc): Cryptocurrency markets are entirely digital and are decentralized which means there is no central time that you need to buy and sell a cryptocurrency for it to be considered a day trade. The mark for day trading reference within cryptocurrency is usually just within a 24 hour mark. If you buy Bitcoin at 04:00 on Tuesday and sell Bitcoin at 18:40 on Tuesday, that’s also considered to be a day trade. Crypto markets are not limited to time constraints, however, day trading strategies within crypto just refer to 24 hour intervals from the time the trade is opened to when it is closed. 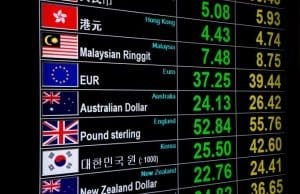 Forex Markets: Foreign exchange markets are subject to the trading of individual currencies, which means there is really no set definition for a day trade unless applying to the respective countries’ market currency that you’re trading. For example, if you’re day trading the Yen, you’d be buying/selling it within the time frame that the Tokyo Stock Exchange is open until it is closed. Day trading isn’t entirely difficult to get started with, and the process is relatively straight forward. We’ll teach you the beginning and what you’ll need to set up an account and get you to the point where you can implement your own day trading strategies if you’d like, or utilize any of our mentioned strategies. 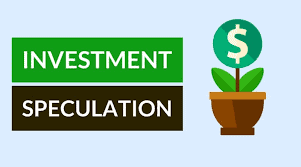 To begin, you’ll need the following: A valid form of funding, identification (If you’re looking to day trade a regulated financial market), a working email, and a reliable internet connection (These are sensitive price points and movements, laggard data can hurt your account). Let’s get started. Day trading is done on either an exchange or brokerage, which is a provider of the purchase and sale of assets. Online exchanges are vast and very efficient, however, you have to be careful for which one you choose (See below for our comprehensive guide in picking the right broker for day trading). We’ll start out by registering for an account on eToro, which is arguably one of the easiest exchanges to get started on and maintains a high level of security and safety. eToro is regulated and a registered exchange with the FCA and CySEC. Head to the homepage of their site and select the green “Join Now” button as indicated in the image below. Enter in the information that is required for registration, which includes a valid email address, username, and pick a safe password that is not shared with anyone else (Sensitive fund data will be linked to this account). Once entered, navigate to your email and click on the ‘verification’ link that was sent to you. This will enable you to validate and get started with an initial account. In order to day trade and utilize any financial products, you’ll need a verified eToro account. The process for this is quicker than you might think. To get started with the verification process, navigate to your newly preliminarily set up account and find the section that says ‘Complete Your Profile’ as demonstrated below. Providing these documents will then forward your account investor application to the eToro team; this typically does not take long depending on the validity and clarity of the images you’ve provided, so it’s recommended you provide the most high quality and legible pictures available. This will allow eToro to complete the verification process and move you forward in the account opening process. To get started with day trading, you need actual funds to trade with. You can use a demo account on eToro by switching the account type, however if you want to generate profits on your own funds, you’ll need to link a valid deposit method and then fund your account. To get started with this, navigate to the account section of eToro and on the left-hand drop-down menu. Find the section that says ‘Deposit’ in the blue highlighted button. See the following image for the button you should select in this case. This will then lead you to a page where you’ll be asked to add a deposit method; you can choose to add a variety of different methods including credit card, PayPal, bank account transfer, and more. PayPal is selected here for sake of argument since this is the fastest way to add funds (Assuming you have an already verified PayPal account). Indicate the number of funds you want to deposit to eToro (We recommend anywhere from $250 to 500, however, the decision is really up to you). Press continue, and on the next page you’ll be asked to login to your PayPal in order to validate the transaction as legitimate. Continue forward and after initiating the process you should see that there is a brief waiting time for the confirmation, but once completed, your funds will then be deposited to the platform for trading. Getting the hang of eToro and trading on it is fairly easy and straight forward. The majority of day trading relies upon creating buy and sell orders at times that you might see fit in the markets. As a result, you’ll select which markets you want to engage in, in our case we’ll use stock markets as a basic example, and then buy and sell the shares during the course of the day. The goal of day trading is to open and close positions within the course of a singular day and maintain more profitable trades than losing trades. 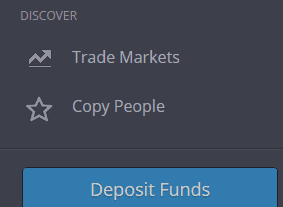 To find the markets, on eToro hover over the left-hand side of the exchange and select ‘Trade Markets’ under discover. The following page will appear. Here you’ll be able to see a plethora of different assets that we can purchase. The hard part is essentially figuring out which assets are good buys and for what reasons. This research and analysis is essentially where you need to put in the work and figure out what you’re good at. Let’s say after some analysis, Apple stock is deducted to be a good buy within the early part of the morning and then hopefully a great sell by the end of the trading day. 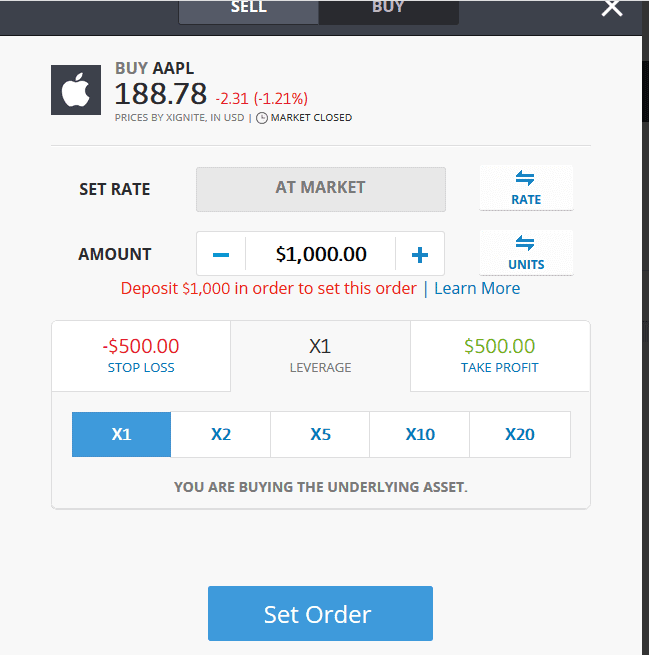 We would then select the Apple stock from the markets section that we’re currently on. eToro enables CFD trading which lets you use margin, another helpful tool for day trading; however, in this case, we’re going to simply buy the underlying stock (For sake of argument). Now, all we’ll need to do is specify the number of funds, or shares we want to spend on Apple stock. Confirm the amount and submit the trade; upon execution, you’ll own the shares. Now, let’s say a few hours later Apple increases in value by a few percentages and we want to sell it, we can do just this by doing the same exact thing except selecting ‘Sell’ instead of ‘Buy’ at the top area of the screen and then indicating how much we want to sell. If a profit is obtained, then we’ve successfully day traded Apple stock. 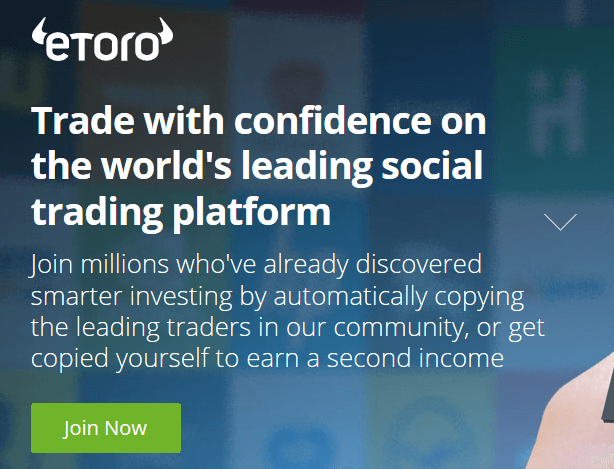 Keep in mind that trading on a reliable platform like eToro does improve your chances of making money but it does not remove the risks of day trading. Open a position (Or a multitude of positions) within the same trading day that you think will appreciate in value. Close the same position (Or positions) that you opened within the same trading day after you have successfully realized gains, or have realized you want to stop out any potential losses. A trader opens the day with a $10,000 account. When the US equities markets open, he purchases Apple stock, Amazon stock, and then an hour later buys Bitcoin and short sells Ethereum (The cryptocurrency), dividing each position equally into 4 parts. Within 5 hours, Apple stock increases, Amazon stock decreases, Bitcoin increases, and Ethereum also increases. The trader does an analysis and comes up with the speculation that he needs to close his Amazon and Apple positions and let his Bitcoin and Ethereum positions continue to exist. After another 3 hours, the trader closes his remaining Bitcoin and Ethereum positions after Bitcoin continues to appreciate but Ethereum falls below where the trader opened his position. The trader closes the day with an account value of $13,000, despite his position in Amazon decreasing, the other positions outweighed his loss. In the example, the trader is speculating Apple as well as a few other assets will increase in price. Apple increases, and as a result, he makes money on his day trade of Apple. In the above example, the trader opened and closed 4 positions within the same day. He speculated that Apple, Amazon, and Bitcoin would increase and that Ethereum price would fall; Apple and Bitcoin increased, but Ethereum and Amazon both fell. The trader lost money on Amazon, but made money on all 3 of his other positions. Because of this, his profit outweighed the loss on Amazon. This is all completed within the course of a day; it’s hectic, but it enables market participants to make money. To actually ‘make money’ day trading, you have to make more profitable decisions than unprofitable decisions in the markets throughout the course of a day. The hard part is deducting which decisions are the better ones to make, and being right more times than not. As we explained earlier in teaching you how to actually get started day trading with an eToro account, a broker/exchange is simply a platform or website of sorts that enables you to purchase or sell assets. There are many exchanges and brokers, and many of them have individual qualities that make them unique and separate from others. When day trading, the important thing about brokers is that you understand about the laws and frameworks for which they’re going to abide. For example, day trading the equities markets means you can only open and close a certain amount of trades within a single trading day per week unless you have a larger account (Above $25,000, see the PDT Rule within the United States). 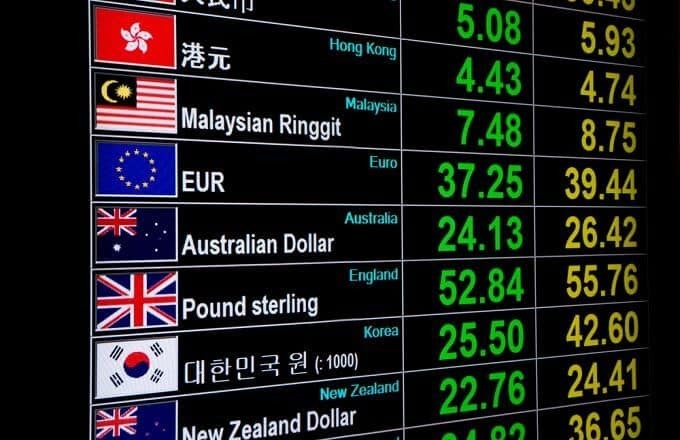 The image above depicts a couple with saved capital (Left icon) going through a broker/exchange (Middle icon) to purchase foreign currency (Right icon). A broker/exchange has access to markets and assets such as stocks, cryptocurrencies, foreign currencies, and more, and will traditionally connect your money with a purchase of one of these assets in an exchange with some additional fees or potential bonuses. A broker will provide a day trader the tools they need in order to execute trades that they’re looking to accomplish. Keep in mind brokers charge fees and sometimes these can accumulate. Look out for subtle things such as this as they will be monumental parameters to watch for especially if you’re trying to trade successfully in the markets. Finding the right exchange for day trading is essential and part of selecting the correct ones relies on understanding yourself as a trader and looking out for certain parameters that make you a successful trader. 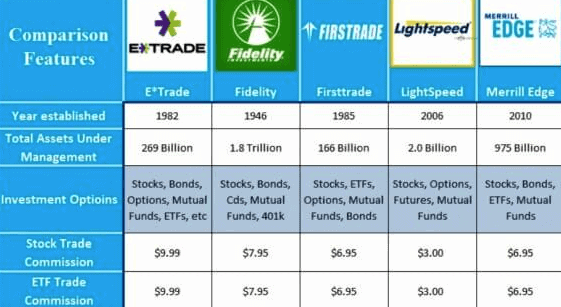 The image below depicts a basic broker and exchange comparison table for trading stocks and ETFs (Uncommon assets). The table reviews fees, asset opportunities, as well as how long the exchange is. The following are some pointers and tips to look out for as far as choosing the right exchange/broker. Try to find exchanges or brokers that have lower fees that won’t impose on any profits or losses that you’re taking. Research more into the fees and structures that some of these exchanges provide and compare them. Research your own jurisdiction’s laws and regulations when it comes to day trading; the US, for example, enacts the ‘Pattern Day Trading’ law which only lets you day trade a certain amount if your account isn’t above a certain threshold. Things such as these should be considered when choosing a broker. Look for higher levels of liquidity – day trading is a process that requires a lot of liquidity in the markets (Ability to execute trades quickly), so be on the lookout for exchanges that maintain these levels at considerable rates. Find experienced teams and platforms that have been audited and previously successful. A combination of these factors can be helpful in determining how well an exchange should be trusted. eToro is regulated and registered with the FCA and CySEC (Cyprus Securities Exchange Commission). They’re an excellent option for those looking to get started quickly and securely, as day trading is not a lot of work as far as quick sign ups and verification. 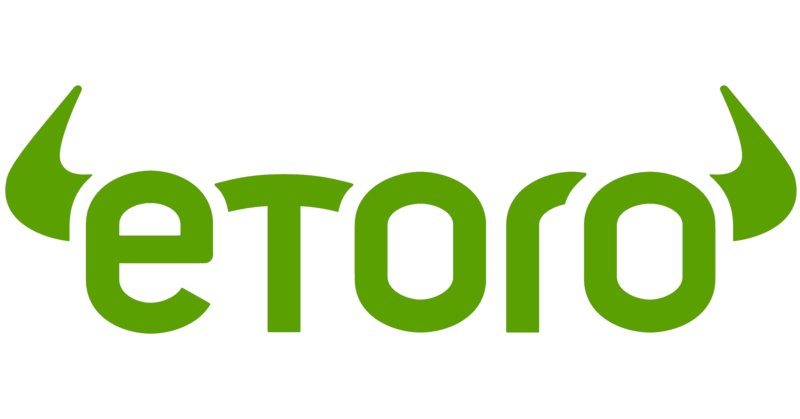 eToro has a plethora of supported assets as well, so if you’re looking to day trade the cryptocurrency markets as well as the equities and derivatives market, both can be done on eToro. eToro also has a lot of different deposit and withdrawal methods available which makes them a good option for day trading. Robinhood – Robinhood is one of the most known brokers/exchanges in that it allows for the trading of different markets including stocks, derivatives, and cryptocurrencies all inclusively without imposing any fees. The platform is a great option for day trading and they even have a built in system that tells you when or if you’re surpassing a certain amount of capital in your trades as far as jurisdictions or legislation goes. Their platform is one of the best options because its quick to use and lets you start day trading immediately with no fees. Binance – If you’re looking to day trade cryptocurrency only, Binance is one of the best options in that you don’t need to complete any extended verification or provide validation credentials such as ID in order to get started. You can begin day trading on Binance nearly immediately after creating an account as long as you have funds to deposit. Binance has maintained itself as one of the most trusted cryptocurrency exchanges in the industry and as a result a horde of day traders in cryptocurrency have flocked to the Malta-based exchange. Binance has integrated tools and charting capabilities built in that enables great analysis and other techniques in your trading. TD Ameritrade – Ameritrade, ran by the popular retail bank “TD”, is one of the most trusted trading platforms in the financial ecosystem and is a great option for those who are looking to get started day trading. Their platform has a variety of built in tools that are designed especially for day traders that will help ease your trading process. They are also overseen by high-profile banks and regulatory bodies, so that can be seen as an important factor as far as the security and overall status of your funds in the financial environment. There are a few options when it comes to distinguishing between the different types of day trading. Learning these classifications can help your overall day trading ability significantly. 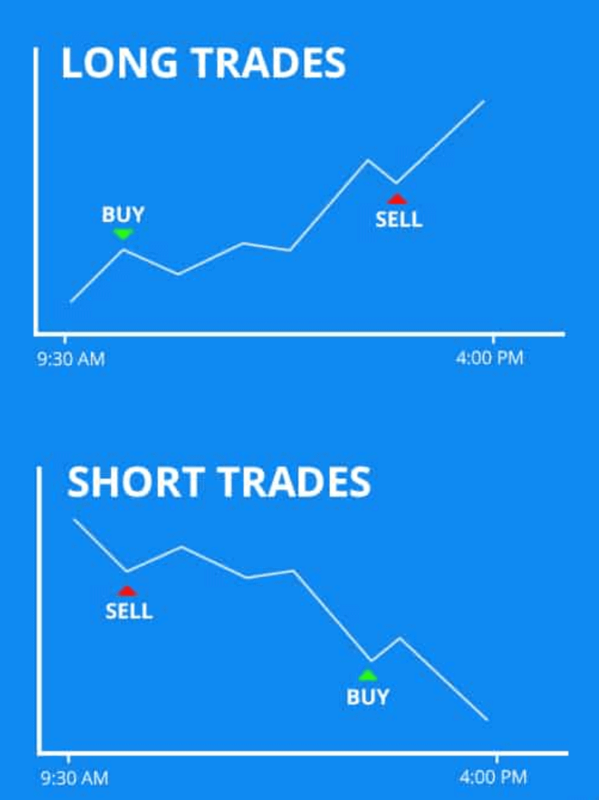 Day trading has even more specific categories and types. Learning the sub-categories of day trading is always useful for any prospective trader. Sometimes referred to as ‘automated day trading’ algorithmic trading relies on trading the markets based on an automated formula where you don’t necessarily need to manually trade the markets. Based on the set criteria that you set within the algorithms, or the automation, the robot (otherwise known as the underlying program that you create to trade for you) will open and close trades based upon the information and directions that it is fed. As a result, the trades will be conducted by itself by the third party host. This type of day trading is a bit more complex and relies upon the programming that goes into it in order to succeed. Therefore, the approach you take has to be very precise and maintain a level of high sophistication in order to actually succeed. Otherwise, the results can be catastrophic. Additionally, anyone offering to sell you a secret algorithm that can potentially revolutionize your portfolio on a consistent basis is probably lying, so be sure if you’re buying another person’s service you do extensive research and due diligence. Nowadays, the majority of the automated trading robots available in the market today are specialized in trading bitcoin and other cryptocurrencies, although you can find robots to trade all asset classes such as commodities, forex and even weed stocks. After having tested a number of them, we have found the Bitcoin Revolution software to be the most reliable in generating consistent profits, as well as the Bitcoin Trader software which claims to be able to generate between $200 and $500 in profits per week. Different types of traders rely on different types of criteria to decide whether or not they want to establish a trade or not. Technical analysis traders rely on price indicators and criteria in order to make judgments or finalization about whether or not they want to open and close a trade. These sorts of day traders will typically look at price levels, macro indicators, and other complex price and mathematical-related tools in order to conclude whether or not they want to trade an asset or not. In some cases these are complicated and require a lot of careful analysis. The above image demonstrates basic technical analysis where the trader is utilizing a trending technique (A form of technical analysis where consistency is regarded as a ‘trend’). In this case, trending is used to predict where the price of an asset is headed. The trader will then bet throughout the same day that some form of this trend will continue and will place a day trade according to the trend. Asset prices move and are driven based on speculation as well as business performance; in the case of a very favorable outcome or positive business announcement, many times an asset, currency, or company will move in the upward direction. As a result, many day traders trade solely on these fundamentals and more conceptually-based parameters. If Apple were to report its best year in many years, Apple stock would probably increase, so therefore these day traders will look for exactly when these announcements and ‘catalysts’ are expected to be reported. Let’s say a catalyst trader sees that Jeff Sessions (A very well-known and accomplished politician and economist who has successfully predicted the market multiple times before) will release a report right before the US market opens that says a stock will underperform and is not headed for a rally anytime soon. Since Sessions is a well known economist and has successfully predicted the economy many times before, a catalyst trader might conclude that Sessions’ announcement on the stock will push it downwards or upwards. As a result, the catalyst trader wakes up early before the US market opens to read Session’s report before the markets open. Sessions releases the report, and the catalyst trader follows the prediction; the markets open, and the trader short sells the stock that Sessions said will fall at 9:30 AM as soon as the market opens. The day goes on and by around 2:00 PM that same day, the stock has fallen over 8% (Which means the short sale is now profitable) because of the News Report. The below image depicts the stock right when the News Report is released. This form of day trading is a bit more complex, however, can yield substantial returns. Day Trading is done according to your jurisdiction’s specifications (If you’re trading in the registered regulated financial markets such as equities and derivatives). One of the most important factors to take note of when assessing certain day trading accounts is the Pattern Day Trading rule; this is the law that indicates that any account that opens and closes a position within the equities markets during the same trading day is considered as a ‘day trade’. 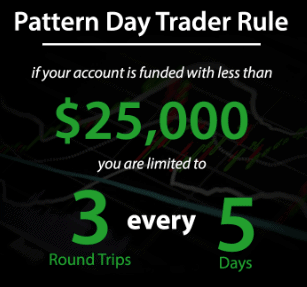 If your account size is less than $25,000 then you’re only allowed a maximum of 4 trades per week (Monday – Friday). This is important to note as within the US stock market, those who don’t follow this law can be subject to some very major implications. The PDT standard has been applied to a plethora of different markets and methods, so keep this in mind when you’re looking into trading a specific market. It’s important to have a thorough level of understanding of whichever market you’re completing. In this case, research is your friend for figuring out which type of day trading account you’re operating, if any at all. 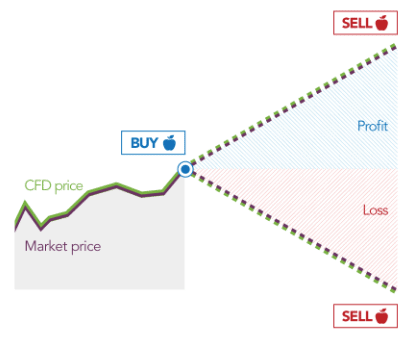 Bid/Ask – All day trading markets rely on the foundational market structure where buyers will set ‘Bid’ prices and sellers will establish ‘Ask’ prices. If you’re buying a stock or a currency, you will set a ‘Bid’ price. This will be the price you’re willing to pay for the asset. If you’re selling the stock or currency, you will set the ‘Ask’ price, which is the price you’re willing to sell the asset at. Market Order – Market orders are a type of order you place in the markets that will execute based on only the quantity you specify, however, price-wise the order will simply execute at the next best price available. Market orders are specified to execute upon the next price that makes you the best suitor. Limit Order – Limit orders are order types that execute based on the exact quantity and price that you indicate. For example, if you initiate an order of limit type that only executes if the price of the asset surpasses $10 and to purchase $1,000 of that asset, the order only executes once the price surpasses your input. It’s a convenient way to get the assets you want at prices only you specify. Volume – Volume refers to the amount in terms of capital that is flowing through a certain asset in particular. For example, if the volume of an asset is $10,000 that means that $10,000 has flowed through the stock within a certain amount of time. Volume doesn’t indicate positive or negative movement, it simply indicates activity within an asset, and activity can be indicative of various things sometimes. Liquidity – Liquidity refers the speed at which an asset or order type (Derivatives and what not) can be executed to their maximum capacity and within a fair price. For example, if an asset is considered to be ‘illiquid’ it traditionally means the asset cannot be purchased or sold at a comprehensive price. Illiquid assets don’t have the capability to be bought or sold relative to the level you’re specifying. Swing vs Day vs Long-term Investing – In any trading market, whether investing long term or hunting for small gains throughout the day, you’ll start to become familiar with other types of trading styles and specifications. For example, swing trading refers to opening a position and closing it a few days later, adversely however, day trading is opening a position and closing it within the same day. Long-term investments refer to the buying of an asset and leaving it for long-term appreciation and then closing months or years later. Margin – “Margin” or more specifically the term “trading on margin” refers to borrowing money from a brokerage or exchange that is then used to trade the markets. If you’re trading utilizing margin, you have more capital power which means you can realize gains as well as losses faster within your market positions. Keep in mind margin incurs daily fees as well for borrowing the money. CFDs – CFDs stand for ‘Contracts for Difference’ which are financial products that you can utilize in your day trading. They are contracts that are representative of underlying assets, but never actually expose you to the physical position in the asset, just the price movement of the asset. They’re good for stocks as well as cryptocurrencies if you don’t want to physically own any of the aforementioned. Take Profit Orders – Take profit orders are order types that are specified to execute once you start to accumulate profit in your position. For example, if you have a 10% take profit order, if your position starts to rack up profit it will close once a 10% profit is returned (Only if this occurs). Take profits are good ways to maintain profit and consistency. Stop Loss Orders – Stop losses are order types that will execute only once you start to lose a certain amount of money. If you have a stop loss on your day trade on Apple stock of 5% loss, once your position starts to dip below 5%, your order will close out. It’s a good way to be diligent and place a level of visibility on your own positions. Create a Plan – There’s a lot of traders that enter the market and believe that when they pick up a computer, they’ll immediately know how and when to trade successfully; this is hardly the case. Form a plan beforehand and set goals for your day trading. Day trading requires a lot of planning and maintains that you stick to the said plan at hand. If you don’t you can easily fall victim to beginner’s mistakes. Set up a target value for your positions and know when and how you want to either open or get out of a position. Practice and Learn – Learning by doing is essential with day trading. Practice with demo accounts and continue to research aspects about the process that you may have overlooked in the past. Day trading requires knowledge. Use Margin Responsibly – Many brokers, eToro included, offer the usage of margin, which can help you realize gains or losses faster in a more efficient manner. Margin is a powerful tool and you shouldn’t use it irresponsibly, but with responsibility, it can yield bigger profit. Form a Unique Trading Persona – Not every day trader is the same; learn what your best at within day trading and try to dial in on that niche. Maybe you’re a hybrid between fundamental analysis and algorithms; traders who know and understand their own powers and skills are better suited for success. 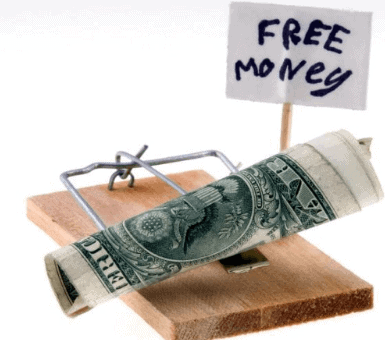 Don’t fall for “Get rich quick” Day Trading Plans and Schemes – Day trading can in fact make people rich, but there are a lot of scams out there that claim you can get rich immediately through buying their guide. This is hardly the case and should be taken with a grain of salt. Do your proper due diligence on the projects and try to deduct whether it’s reliable or not. A program or process that promises you a ton of profit on your investment without having to do any work at all sounds very enticing, however, day trading get rich quick schemes and programs are abudant on the internet and it’s best you do your due diligence prior to any commitment is made. Understand Your Jurisdiction’s Day Trading Laws – Day trading is a sensitive topic amongst many regulators since the financial crisis of 2008; for example, as a result, the US imposed the PDT rule (As discussed above). Research the limits and laws associated with day trading in your jurisdiction, and stay up to date with these changes. Learn How to Use Exchange/Broker Tools – Many exchanges and brokers offer features and tools that many others do not. These range from customized charting tools, backtesting implementations, and other customizable stop loss or take profit order types. Learn your broker/exchange’s tools and use them to your benefit. Control Emotions While Day Trading – When you’re day trading and execute a trade that yields you a large percentage profit, it can be easy to want to step in and try to repeat that same process over and over again, however, the truth of the matter is that day trading is not entirely that simple. Many people can get overly ecstatic or overly distraught when they make profits or losses. As a result, learn to control these types of feelings. 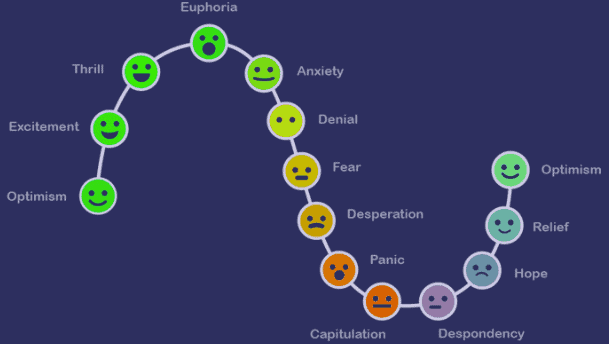 Credit: Trader Sync – The image depicts the emotions associated with profitable and losing day trades. Learn to master your emotions. Avoid Overtrading – Find out a good amount of trading that you’d like to do and stick with it. If you think that with each losing trade that you can then immediately make a profitable trade and come back from the loss, you’re probably mistaken. Keep Learning; Don’t Think You Know Everything About Trading – The markets are constantly changing, and day trading is consistently evolving. Learn the changes associated and stay up to date on them. Find the best types of resources for education on these types of topics and try to grasp them as much as possible. The more you learn about the markets and about day trading, the better suited you will be for decision making within them as well. There’s a lot of potential and possibility,but don’t feel like you know everything. Can you get rich day trading? There are many people who have gotten rich day trading, yes. Keep in mind though, there are many factors at play. When looking at people who have gotten rich through day trading, you have to assess the fact that luck, skill, and consistency are all parameters that play into ‘getting rich’ by day trading. Is it possible to make a lot of money day trading? Absolutely, it is possible, but it isn’t entirely easy. It’s a great strategy for profit, but it does not come without research and preparation. There is no singular day trading strategy that is the best above all others. Arguably the day trading strategies that end up working the best are the ones that are customized to your own trade style. Identify what sort of trading you’re good at within day trading and dial in on it. These are the ones that usually end up making people the most profit because they’re unique to all others. What is the best market for day trading? This is subjective and relies on your own ability to trade; if you’re looking to trade 24/7 then it is best to pursue day trading within the Forex or cryptocurrency markets considering these markets will run at all times of the day. When it comes to the ‘best’ one so to speak, stock markets enable different opportunities such as additional fundamental analysis, but do not solidify any type of ‘edge’ over the other as far as time-wise. Can I day trade in the US? Day trading is allowed in the US, but as mentioned before, the pattern day trading rule is imposed for United States residents. This means you cannot complete more than four day trades per week if your account balance is below $25,000. This was imposed after the financial crisis and essentially says you have to maintain a large account to trade more consistently intraday. How long does day trading take to learn? Getting the overall hang of day trading really does not take an extended amount of time. It’s a process and strategy that if you put in the time and the effort can start to produce some positive results within mere weeks. To master it entirely, can take multiple years; however, multiple years implies you understand all of the aspects of day trading, and mastering it doesn’t mean you can’t make money without mastering it, essentially. Day trading is a fairly straight forward concept that to understand its underlying foundation means not many weeks as far as core concepts. The harder part is finding the best methods, strategies, and learning your own trading style/controlling emotions. Does day trading based off of economic events work? Yes, you can day trade off of economic events such as the fed raising interest rates, or announcing job expectations for the near future; in fact, this is a concept that many traders take into consideration when detailing their strategies, so to impose them in your own methods is not uncommon. This is seen in many cases as a profitable and positive opportunity. Can I day trade on my phone? Yes, day trading is available on mobile through a variety of different applications; namely, Robinhood is an exclusively mobile platform for the purchase and sale of different assets that allows you to day trade as well. Robinhood also has an active counter that ensures you don’t surpass the PDT amount if your account balance isn’t hitting the minimum threshold. How do I get better at day trading? Utilize a demo account for day trading, learn from your mistakes, and don’t stop learning. There is a lot of room for error when you’re day trading, and you’re going to take losses, so learn from these and try to expand upon your knowledge. We recommend that you start out with a minimum of $250 in order to be able to maneuever the markets effectively, however, you can get started with day trading by purchasing the minimum amount relative to a broker or exchange. Certain brokers and exchanges have minimum deposit rates, so be sure to inspect your prospective exchange to find out what some of these minimums are. Are there any risks when day trading? How much time should I spent in a day trading ? What are the best strategies you use for Day trading?